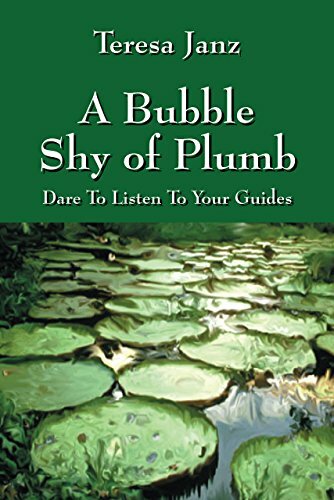 In “A Bubble Shy of Plum: Dare to Listen to Your Guides,” the author narrates significant and impactful events in her life that inspired her spiritual development. Through the author’s experiences, this memoir teaches readers to become more open to alternative opportunities and to explore the possibilities and outcomes in overcoming life’s difficult moments. People say that experience is the best teacher. For Arizona-based author, Teresa Janz, this is exactly what she channels as she writes her own memoir. In her book, she details her own journey from the most profound to the most harrowing. As she opens up about her experiences for readers to discover, she hopes to help each one to improve one’s life and one’s spirituality through the lessons and realizations she learned along the way. “A Bubble Shy of Plumb” dives into author’s deepest and most sensitive experiences. It touches on topics such as abandonment, adoption, divorce, the paranormal, and attempted murder. She fearlessly retells her story to show readers that, like her, it’s always possible to embrace life’s most spiritual experiences. Through her own journey, she emphasizes that there will always be light, hope and unconditional love. Ultimately, this heartfelt memoir wishes to instill courage and acceptance in the hearts of all readers. It challenges each one to improve their quality of life and to embrace the good and bad. Not only that, each chapter teaches readers to become more open to alternative opportunities and to explore the possibilities and outcomes in overcoming life’s difficult moments. Catch “A Bubble Shy of Plumb” as it joins the upcoming 2019 Los Angeles Times Festival of Books. Happening on April 13-14, 2019, this inspiring and spiritual memoir will be displayed alongside hundreds of great book titles from different genre types. As one of the biggest and most exciting book fairs, the highly-anticipated event is set to bring thousands of book lovers and literary fans all over the country. Don’t miss it! Teresa Janz was born in Germany and raised in the United States. She has studied human nature for years. She narrowed her focus to the fostering and development of human spirituality as it is impacted by activities of daily life and living.